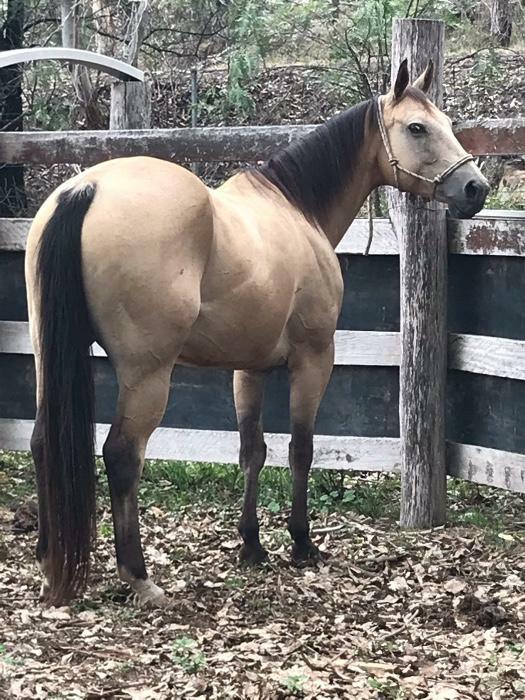 Champagne is a beautiful buckskin mare who is proving to be very versatile and easy going to match her unflappable nature. 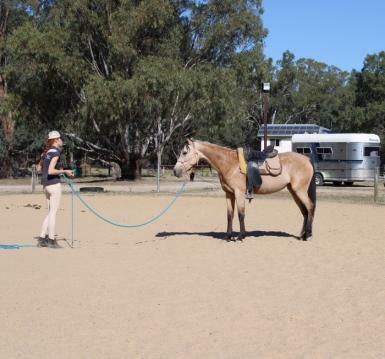 I have done plenty of natural horsemanship with her and have progressed to Level 3 Parelli. 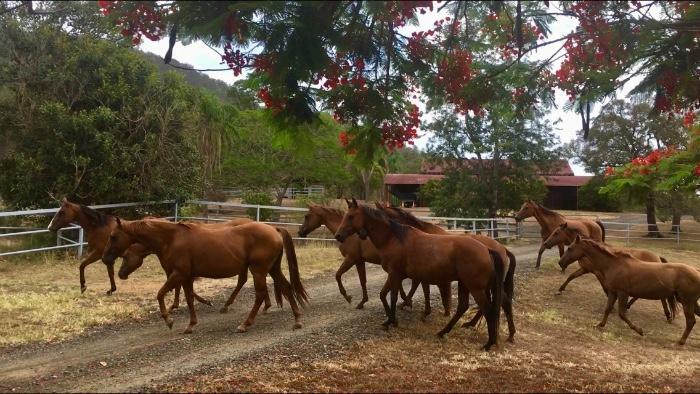 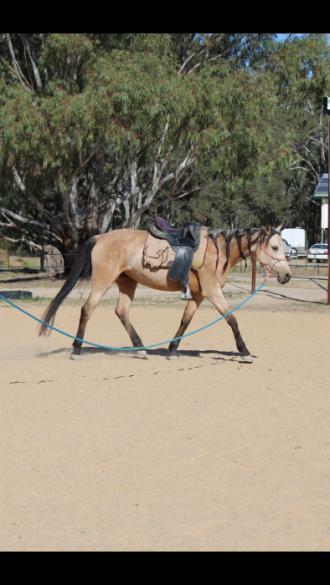 She is easy to handle in every way possible and has been ridden by a couple of younger teenagers with no worries at all. 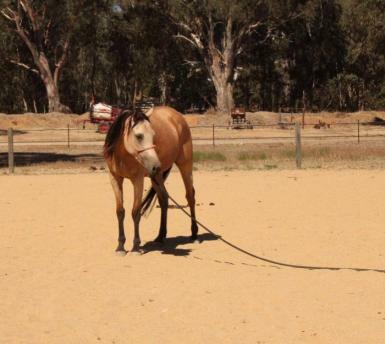 Champagne has many great attributes in her favour and a trainable, can-do attitude. 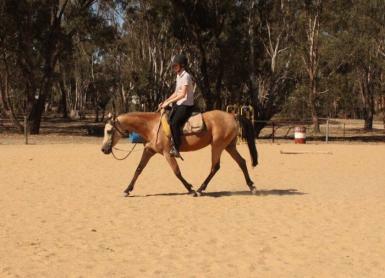 She is beginning to establish three comfortable paces with great cadence on a loose rein as well as learning to work within a soft frame. 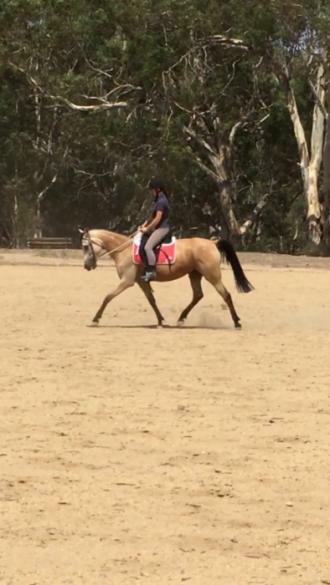 She has beautiful movement, with a very free floating trot and established leg yields. 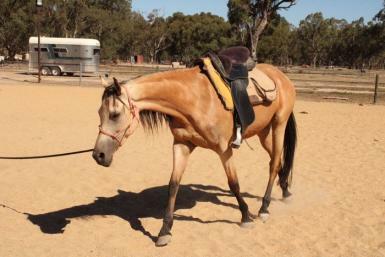 Her ability to take on new tasks without a fuss is excellent. 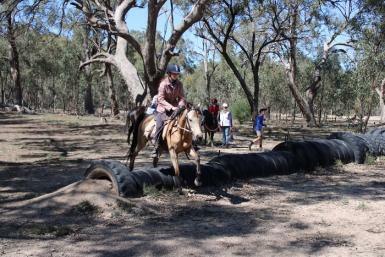 She is great to take out on the trail, open/close gates, stand on a pedestal, jump, etc. 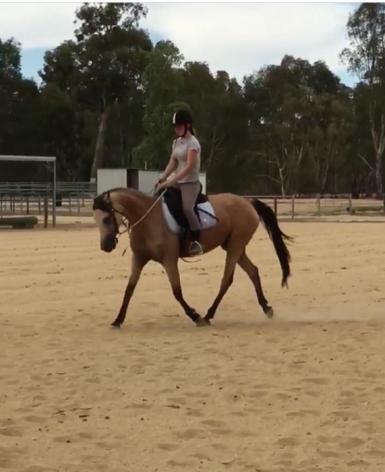 With an unbelievable stop being able to halt from a canter without the use of reins and has a very soft back up. 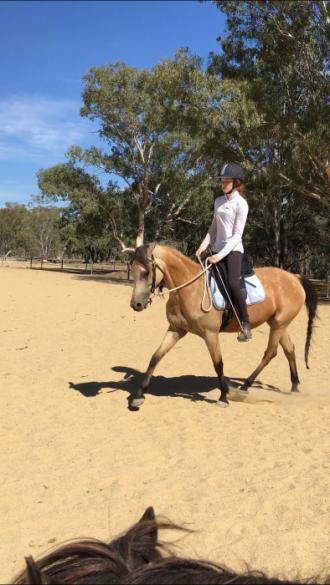 Champagne has a very bright future and one day will be suited to all levels of rider abilities and experiences due to her very quiet nature. 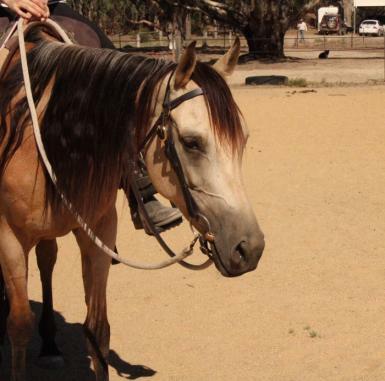 She is always the first to meet you at the gate as she loves people and loves to spend time with you more than anything! 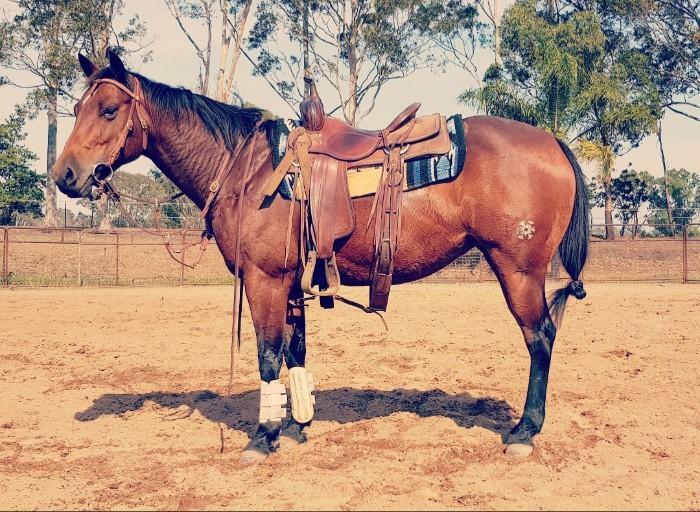 She is looking for a new family that has the knowledge to continue her learning so she can become the ultimate mount!